HUNTSVILLE, Tex. — Alcohol abuse nearly destroyed Sam Houston State Head Coach Matt Deggs seven years ago. It had a vice-like grip on him that wouldn’t let go as it caused him to be fired at Texas A&M University as the associate head coach by his best friend Head Coach Rob Childress in 2011. His drinking problem all came to a head on a hunting trip on Jan. 3, 2011 with Childress and his son just outside College Station, Tex. Deggs brought a backpack full of whiskey and beer along with hunting gear. Childress and the ranch foreman found Deggs passed out drunk in a deer stand. There were empty beer cans everywhere, a whiskey bottle and a loaded rifle in his lap. He was driven home by the Texas A&M skipper, and Deggs stumbled onto the driveway which led to an argument with his wife and left his kids crying. Deggs passed out on the couch and woke up early the next morning not knowing where his truck was. He called Childress and asked if he could pick him up for work since his truck was at the area the hunt took place the previous day. When Childress arrived, Deggs got in the vehicle. “Rob looked at me with heartbreak, disappointment and disgust in his eyes,” said Deggs. 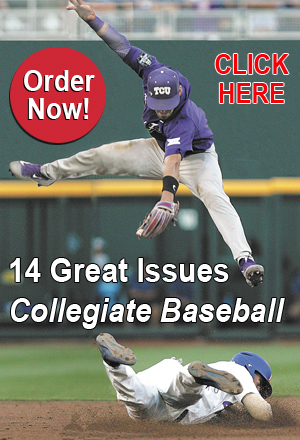 Deggs was fired from his position at Texas A&M and would go 430 days without a job in baseball. He went from being paid hundreds of thousands of dollars at Texas A&M to being unemployed. The addiction of alcohol nearly resulted in a divorce with his wife Kathy and the separation of his remarkable children Kyler, Klaire and Khloe. He was booted out of the house multiple times. “Seven years ago, I was fired at Texas A&M as the associate head coach,” said Deggs. “I was broken, and I was drunk, and I wanted to die. Deggs said his life was a shambles. “There are two people in the world — people who are humble and those who are about to be,” said Deggs who is a devout Christian now. “I was arrogant, cocky and conceited, and I was humbled as everything was stripped from me. “Gather your wife and three kids and inform them daddy is going to rehab. That will humble you. “As you try to walk out the door, your kids, ages 10, 4 and 2 are grabbing your pant leg begging you not to go as they are crying. That will humble you. “Spend 430 days away from the only thing you know — baseball — because nobody will hire you because you are unemployable. That will humble you. “Put a for sale sign in the front yard of your house and then not have the house sell for 17 months, and you have to live in the same city you were fired from. That will humble you. “Have your children change schools in the middle of the year because daddy can’t afford a private school any more. Your children now won’t be with all their friends because they are forced to change schools because of my actions. That will humble you. “I want to tell you something that will really knock you to your knees. Sit down with your kids and explain to them that this is how you go through the lunch line now. “You have to sign your name to a sheet, and they will give you lunch for free. That will humble you because daddy has blown through all of the family’s savings. “Daddy has a $400,000 house that he can’t pay for any more. Daddy is unemployable because he is a drunk. My kids and wife have lost everything because of me. “I was living on my very last dime after being the associate head coach at Texas A&M. I was there for six years and was the recruiting coordinator at Arkansas prior to that. Don’t you think there was some pride involved? You darn right. “I went from that to not having anyone want to employ me. I could not even get a job interview at Texarkana Junior College when their head coaching job opened up. I spent five years there, and probably had the best run anybody has ever had at Texarkana. We went to the JUCO World Series one year and almost made it a second time. “But they wouldn’t touch me. I interviewed at South Dakota State and wasn’t hired. I interviewed in Nashville at an NAIA school and wasn’t hired. “I ultimately found work at a feed mill about 20 miles outside of College Station, Tex. loading 18-wheelers full of corn and cattle feed with Guatemalans who didn’t speak English. Deggs then switched jobs and began selling pharmaceuticals. “I was an absolutely horrible salesmen for pharmaceuticals. I couldn’t wait to get off work and go drink. “That was my life as I was humbled once again. “The second thing I learned was that God will not save you until you decide to take action yourself. No change will ever happen without action. “I was famous for being in the middle of a 12-pack of beer and pray to God that he would take this beer from me as I drank can after can. I was living in darkness. Darkness does not live in the light. By its very definition, it is an absence of light. To read more of this story, purchase the May 18, 2018 edition of Collegiate Baseball or subscribe by CLICKING HERE. 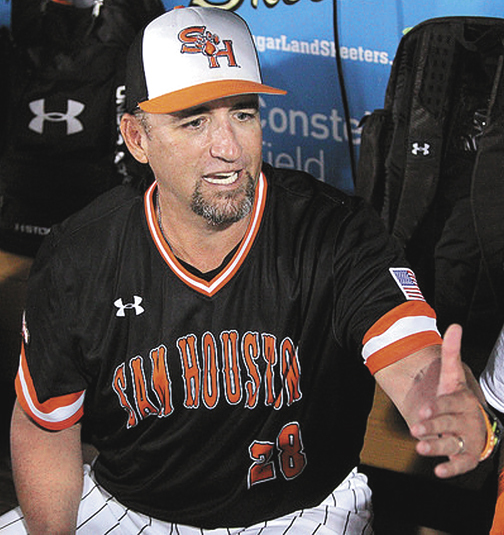 The rest of the story explains how he was given a second chance in his coaching career by Louisiana-Lafayette Head Coach Tony Robichaux and Deggs’ success led him to the head coaching position at Sam Houston State. It is an amazing story of how he ultimately conquered alcohol and has turned his life around. IRVINE, Calif. — U.C. 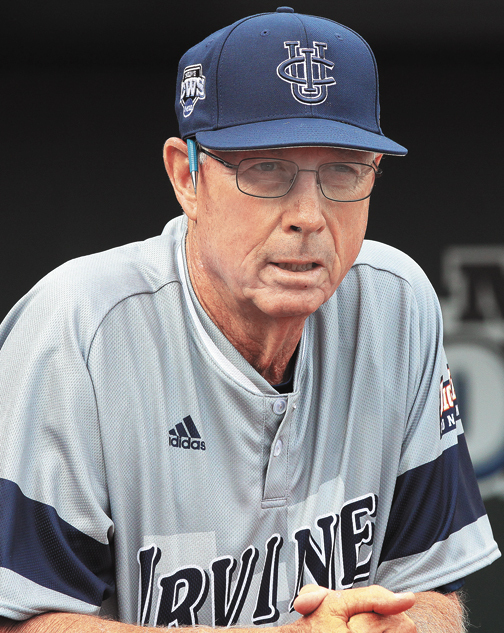 Irvine Head Coach Mike Gillespie, one of the most creative and bold coaches in college baseball history, announced that he will retire at the end of the 2018 season after 47 years as a college head coach. His teams have stolen home at critical stages during games on many occasions. Of the 50 or so times his teams have attempted to steal home, his players were successful every time but twice. Gillespie’s ball clubs have played 4-man outfields and 5-man infields. Possibly his most unique use of an extra infielder was when his College of The Canyons ball club was playing Jerry Weinstein’s Sacramento City College ball club years ago. One of Weinstein’s players had bunted for 30 base hits that season all along the third base line. So Gillespie did the unthinkable. He pulled an outfielder and placed him 15 feet from home plate near the third base line to take away the bunt from this young man. And the strategy worked. A special 2-part question and answer session on the creative coaching of Gillespie starts on page 10 of the May 4, 2018 edition. This remarkable skipper has compiled a 1,145-710-2 record on the NCAA Division I level through 35 games of the 2018 season with stops at the University of Southern California (20 years) and U.C. Irvine (11). He was inducted into the American Baseball Coaches Association Hall of Fame in 2010. Gillespie is one of only two men to both play for and coach an NCAA-championship baseball team. He was the leftfielder for USC’s 1961 national-championship squad and coached the Trojans to the program’s 12th title in 1998. Prior to being the skipper at USC, Gillespie coached at the College of The Canyons where he built the program from scratch. In 16 seasons, Gillespie compiled a 418-167 record and won 11 Mountain Valley Conference championships, including six consecutive from 1981-86. He captured three state titles and finished as the California runner-up twice. His teams finished with 20 or more wins in 13 years of his tenure, posting 30-plus wins six times. Gillespie’s final squad won 41 games in 1986, the most-ever by a California community college at that time. He was asked what he has learned during his amazing college head coaching journey which spans over 47 years and 1,549 wins. “It really has been a great life being a baseball coach,” said Gillespie. “But I must plead guilty in being a great copycat. I can’t possibly mention every person who touched my life from a coaching standpoint. There have been a number of coaches I have learned from whether it be a coach on the other side of the field, a coach at a clinic or a coaching mentor. His teams won six California Community College titles, more than any other coach in California history. Even more amazing is that his ball clubs produced an incredible 60-game win streak that spanned three seasons — the longest in baseball history. Gillespie said he has acquired a mountain of knowledge through his years in the game. But the one bit of advice that has stood the test of time was from Cerritos’ Kincaid. “I watched this man closely through the years and picked up many things. But the one phrase which was so important to me and rang true was ‘Throw strikes, play catch and put the ball in play.’ That is the game stated in simple terms. But it is everything you need to do in a game for success. “It really does describe the game if it is done right. I don’t know when I first heard him say that. But it has been at least 40 years ago. 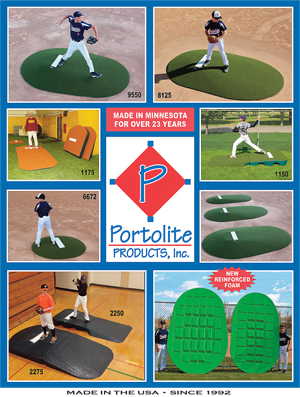 “Another thing I picked up from coach Kincaid was that his pitchers were never afraid to throw 3-2 sliders or 3-2 changeups. It was completely foreign to me. While they were doing it, they made our hitters look foolish. “I thought it would be a great idea to copy, but throwing a slider or changeup in a 3-2 count is extremely difficult for pitchers. If you can do that as a pitcher, it allows more success. Gillespie said that one key thing he learned in his career is that every player on the team should be taught as many skills as possible. “I like home runs and would love it if every one of my players had power. But there comes a time in most games that you have a chance to win where a bunt is appropriate or hit and run is the right move or a stolen base and possibly a squeeze bunt. Gillespie had some of the top closers in college baseball history over the years. He rolled out Jack Krawczyk at USC in 1998 and Sam Moore at UC Irvine who each had 23 saves to rank tied for second in NCAA Div. I history, plus many more. “Possibly the most amazing closer we had was Jack Krawczyk. He was a non-scholarship player who recruited us. We lucked into that deal. He didn’t pitch much as a freshman. He was very tall at 6-foot-5, and his best fastball at that time was about 85 mph. “But he had this Bugs Bunny changeup that few people could hit. And he was absolutely fearless. He was never afraid and had that mentality that dared hitters to try and hit his pitches. “Most couldn’t as attested to his 23 saves during the 1998 season which still is tied for second in NCAA Division I history. His changeup was probably 75 mph or slightly slower. But you could not detect anything different in his motion from his fastball and changeup. To the batter, they both looked identical. “There was enough on his fastball that you couldn’t ignore it. When you talk about relievers, he was the best we had. “There is a mindset that the successful closer possesses that I don’t think you can teach. What is hard to identify are pitchers with this mentality who can thrive in difficult situations late in games. We are talking about the 1-run or 2-run lead or inheriting runners. “You must have the toughness to deal with situations like this. Some have it and most don’t. “The other thing is being yourself as a pitcher. If you throw 88 mph, then throw your fastball at that velocity. Don’t try to throw it 94 mph. You see so many pitchers try to muscle up and fail in the process. “If you have a great changeup, believe in it, dot it where you want it to go and don’t be afraid. It’s easy to say and not so easy to do. To read more of this article, purchase the May 4, 2018 edition of Collegiate Baseball or subscribe by CLICKING HERE. A special story in this edition explains in detail how he taught runners to steal home which was successful 48 out of 50 times during his 47-year career. 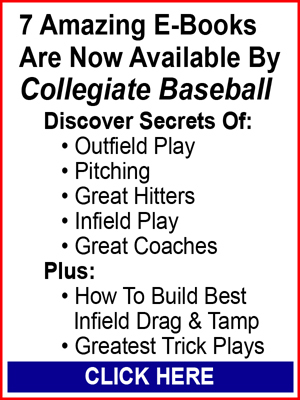 It also explains how noted USC Head Coach Rod Dedeaux impacted his life as a player and coach, plus more. 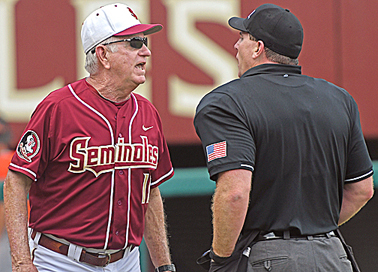 TALLAHASSEE, Fla. — Florida St. Head Coach Mike Martin is now the winningest coach in college baseball history. The Seminoles beat Clemson, 3-2 in 13 innings for Martin’s 1,976th career win which is one more than Augie Garrido who coached at San Francisco St., Cal Poly, Cal. St. Fullerton, Illinois and Texas over a 48-year-career. Garrido passed away March 15 at the age of 79 following a stroke. Martin has coached the Seminoles to 38 consecutive regional appearances and 16 trips to the College World Series as his teams have reached the 40-win mark 38 consecutive seasons under his guidance. He was inducted into the American Baseball Coaches Association Hall of Fame in 2007. 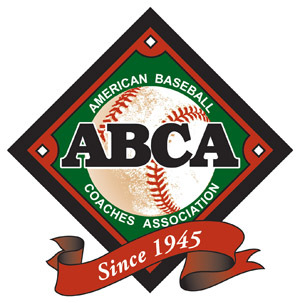 Martin was contacted by Collegiate Baseball and asked a variety of questions about what he has learned along his coaching journey. 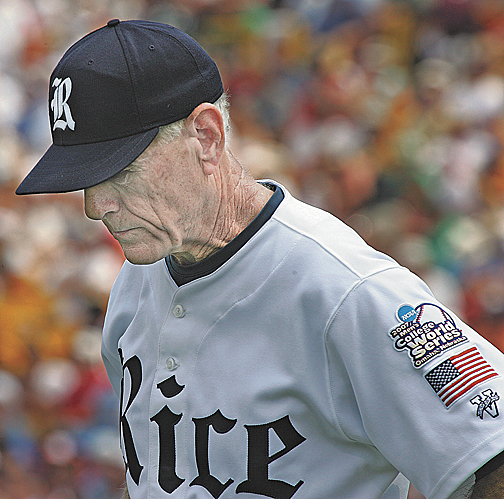 COLLEGIATE BASEBALL: What have you learned during your remarkable 39-year coaching career? MARTIN: One of the biggest things is the way I treat players. When I first started, it was my way or the highway. After 10 years of being a head coach in the 1990s, I started looking at things a bit differently because I saw that some players reacted differently with criticism. That doesn’t mean I stopped criticizing players one-on-one. But earlier in my coaching career, I wouldn’t take the time to try and understand what the young man was experiencing in his life whether it might be a girlfriend or parent issue. Or possibly he was tired from studying the night before. I then tried to be more understanding of the individual. I think that helped me in many regards. I still expect certain things that are team oriented. But sometimes a young man needs to be coddled, needs support, and as I became a more veteran coach, it was a good approach. CB: When different players on your team have tested you over the years, from your top athletes to others who don’t see much playing time, how do you handle uncomfortable situations that come up? MARTIN: I’ve tried to be consistent in the way I have dealt with players. That is very important to the team. I made a vow to myself 39 years ago that I will never use a player to win a game when he has done something that was against team regulations, especially if other players have been punished for the same infraction. A player will live by that suspension and will not be given any leeway to enable us to have a better chance of winning. I can’t do that. If I did it for him, what would I do the next time? Many coaches are dealing with marijuana usage by our players. Heck, it’s legal in several states now. But we have team rules, and we’re going to stay with them. To read more of this article which delves into many more areas that he has learned in his coaching career, purchase the May 18, 2018 edition of Collegiate Baseball or subscribe by CLICKING HERE. HENDERSON, Nev. — It’s extremely rare to see a college baseball player in the United States who comes from Okinawa, Japan. But that is precisely what the College of Southern Nevada has in Joey O’Brien, a skilled 5-tool player. A graduate of Kitanakagusuku High School in Okinawa, he is the son of John and Akemi O’Brien. John served in the U.S. military for many years when he was stationed in Okinawa. What makes the story even more compelling is that Joey is truly a gifted baseball player who can do it all for the Coyotes. 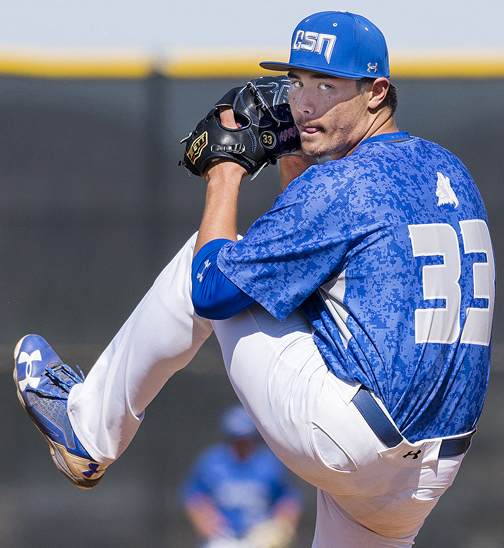 He is not only a talented righthanded pitcher who has touched 94 mph with a 5-pitch mix, but the 6-foot-2, 205-pound sophomore also plays centerfield and leftfield when not pitching and is a polished hitter. Through 42 games, he is hitting .356 with 8 homers, 8 doubles and 46 RBI. He has a keen eye at the plate as he has walked 29 times and been hit by pitches 9 times with an on-base percentage of .491 and 45 runs scored. On the mound, he has 38 strikeouts and only 4 walks with a 1.61 ERA for the first 20 innings this season. At one point, he had 29 strikeouts and only 1 walk. O’Brien, who has signed to play for the University of Hawaii next season, could be a top 10 round pick next June in the Major League Draft. His training as a Japanese player was very different than what Americans experience. A typical practice in the USA will last two hours or slightly longer. But in Japan, he would practice five hours a day during school days from 3-8 p.m. and eight hours on Saturdays and Sundays from 9 a.m.-5 p.m.
How in the world does a baseball player from Okinawa, Japan get to Las Vegas which is 6,500 miles from home and a 21 hour series of flights? “That’s a long story,” said Southern Nevada Head Coach Nick Garritano. “One of our former baseball players knows Joey’s uncle (Gary Chaney) who lives in Las Vegas,” said Garritano. “His uncle asked our player a little about the program, and he told him how successful we have been over the years. We were ultimately sent a video of Joey from Okinawa in a workout, and we were very intrigued. O’Brien made the long trip from Okinawa by himself and was picked up at the airport by his uncle who he has lived with during his stay in Las Vegas. “We will get kids from Hawaii because of a recruiting connection we have with assistant coach Sean Larimer. But this is a first for our program to get someone from Okinawa, Japan. “It is definitely a long way from home for Joey, but he has done a great job of adapting to the American culture. He is still learning. Joey grew up his entire life in Okinawa and is fluent in Japanese. His father is a retired member of the U.S. Military. That is where he met his wife. Garritano said another major adjustment Joey had to make was acclimating to the intense heat of Las Vegas when he arrived. “When our kids show up here in late August, it is typically 112-115 degrees, and it is a dry heat. It just gets you if you have never experienced it. Last August, it was very unusual with 20 percent humidity on some of those really hot days. It was just miserable. Garritano said O’Brien told him that growing up in Japan, coaches hammered home the point of throwing strikes with his 4-seam fastball. “It was explained to Joey that in the USA, we want to get movement with fastballs because it makes hitting pitches much more difficult. He has done a great job of adjusting to this concept. “He told me that there is much more live game repetitions in a practice setting than back home in Okinawa. That goes for defensive work, pitching and hitting. When he worked on pitching in Okinawa, he focused on the 4-seam fastball hitting spots. “He told me that we go over a lot more in our shorter practices. But back home, they do the same thing over and over again in lengthy practices to master concepts. To read more of this story, purchase the May 4, 2018 edition of Collegiate Baseball or subscribe by CLICKING HERE. It delves into much more about Joey O’Brien and what amazing skills he brings to the table.